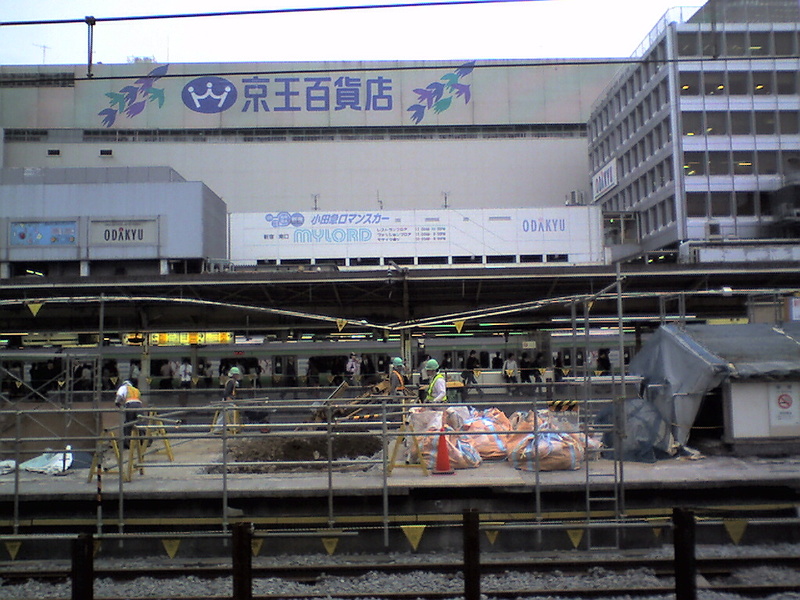 JR Shinjuku Station is under reconstruction right now. The picture shown above is of the out-of-service platform between Platform #9/10 and #11/12. When it's completed, the station will have 16 platforms in one level. When you are getting on the trains at Platform 7 and after through the newly made "Southern Terrace Exit", you might want to arrive earlier at the station because the distance between the stairs and where the trains stop is unusually long: this is important especially when you are using the last homebound train of the day.